Many businesses communicate with their customers and suppliers primarily through email.Email marketing is therefore a powerful strategy for generating leads and enhancing sales.However, success does not come overnight. Email marketing is a long-term marketing strategy which requires sustained effort and good planning. The following are great tips which would be useful for anyone getting started with email marketing. Many small business owners make the mistake of jumping into list building without doing any research first. Getting into email marketing without any overall plan is likely to result in a marred brand image.Before doing anything, you should first carry out some research to find out where your intended audience is spending their time online. Think of a message which will enhance their chances of joining your mailing list, and how you can merge your online and offline list building campaigns. features and prices. To find out which service suits you best, write a list of the features that are most essential for you. 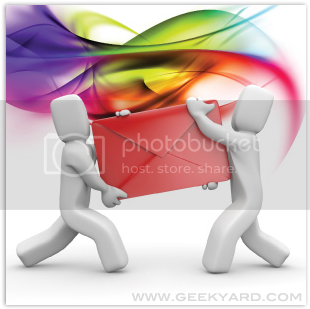 In addition, consider how much you are willing to spend on an email marketing service. Finally, you need to ensure that the process of signing up is as fast and easy as possible. The more convenient it is, the faster your mailing list will grow. Besides the above etiquette rules, you should also get familiar with the CAN-SPAM Act. These are laws which were created to safeguard consumers from receiving unsolicited messages. When signing up for your list, make sure subscribers know exactly what they should expect to receive. It would also be advisable to inform them of how frequently they are likely to get emails from you. In addition, offer them a guarantee that their information will not be shared with anyone else and will only be used for the purpose mentioned. Offering subscribers a free incentive is a very effective strategy for getting people to signup. You could offer a discount, voucher, free product or free report. Make sure people understand that by submitting their details to receive the free incentive, they are also joining your mailing list. However, you should always give people the option to unsubscribe whenever they wish. I think tip no. 6 is spot on as my customers often do not respond to much if there is not an incentive. If you want to improve your chances of your targeted emails being actually opened and read it is ideal to offer something of value for free. Like it or not today’s consumers are very savvy and purely informational emails don’t really do the job.